Edit VisualARQ objects using properties and control points. All VisualARQ features are fully functional during the trial period. No product key is required. A valid product key is required to run VisualARQ in standalone mode. Buy VisualARQ to get a valid product key. 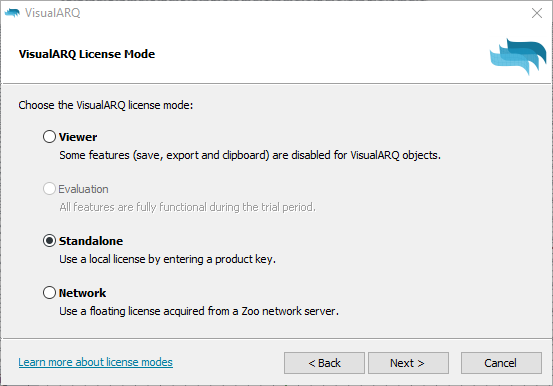 The VisualARQ Zoo plug-in lets you share VisualARQ licenses (product keys) among users on the same network workgroup. When a node shuts down, the license is returned to the Zoo license pool.